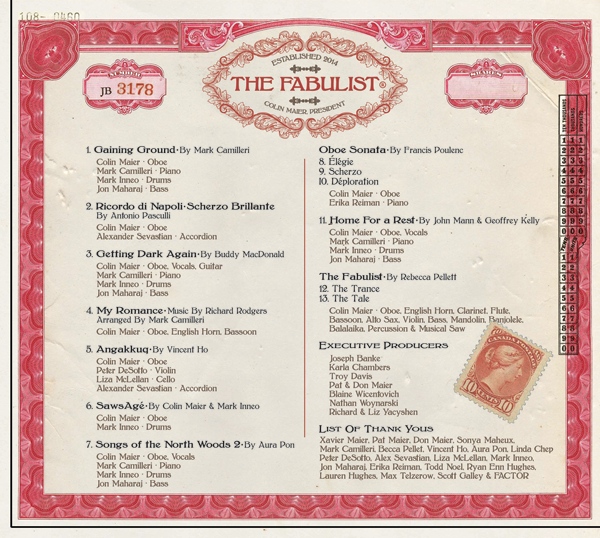 The Fabulist CD is meant to be fun… That’s all, just a good time. So don’t take it so seriously, it’s only music. This second studio album is a collection of stories or fables – diverse musical stories that are highlighted and are brought to life by the oboe. It continues some of the storylines that originated on the first album, then begins new themes that open the door to new styles and instrument complements. 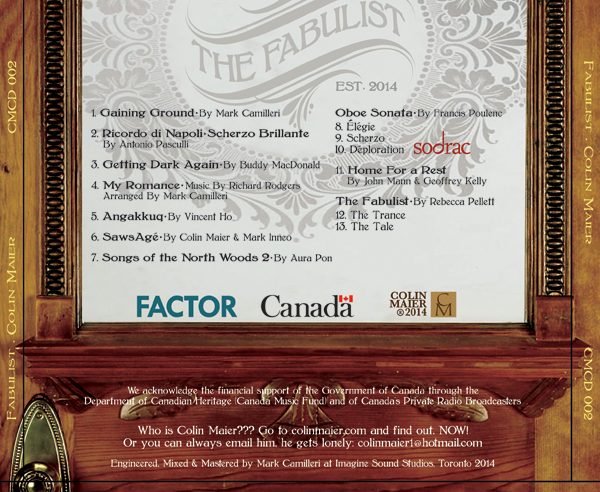 It is a fun and theatrical oboe CD made of original Canadian commissions. I have brought back a number of the main characters from the first CD. Composers Rebecca Pellett, Aura Pon and Mark Camilleri and musicians from Quartetto Gelato and the Misguided Band. 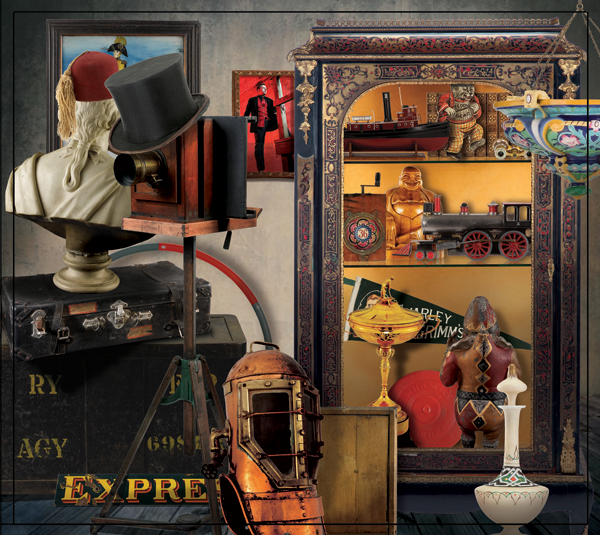 The title track of the album “The Fabulist” is a brilliantly composed archetypal story that captures incredible images of a hero and his journey. What exactly the story it depicts is for you to imagine 🙂 On this piece I play all the music as “The Colin Maier Orchestra”. 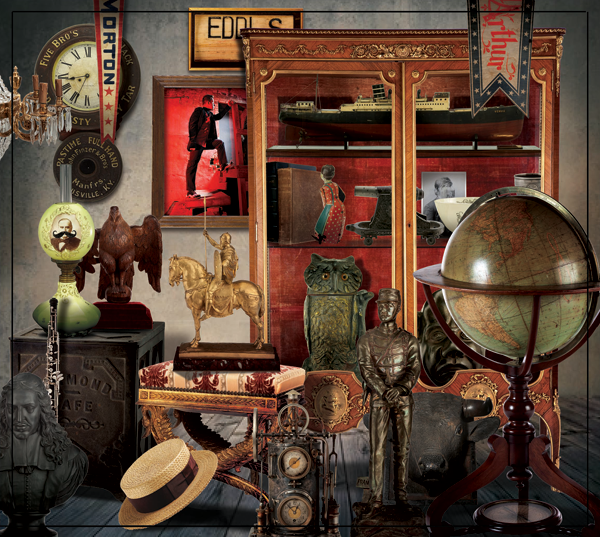 13 instruments and 35 multi-layered tracks on the oboe, clarinet, bassoon, English horn, saxophone, flute, violin, bass, guitar, balalaika, banjolele, mandolin and percussion. * If you are interested in getting the sheet music for any of this music, it is available! Send me an email. Vincent Ho is widely recognized as one of the most exciting composers his generation. His many awards have included Harvard University’s Fromm Music Commission, The Canada Council for the Arts’ “Robert Fleming Prize,” ASCAP’s “Morton Gould Young Composer Award,” four SOCAN Young Composers awards, and CBC Radio’s Audience Choice Award (2009 Young Composers’ Competition). He received his Associate Diploma in Piano Performance from the Royal Conservatory of Music (Toronto) in 1993, his Bachelor of Music from the University of Calgary in 1998, his Master of Music degree from the University of Toronto in 2000, and his Doctor of Musical Arts degree from the University of Southern California (2005). 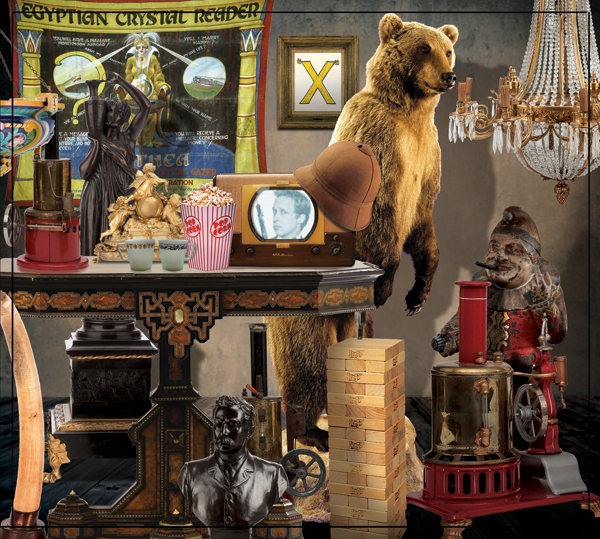 His mentors have included Allan Bell, David Eagle, Christos Hatzis, Walter Buczynski, and Stephen Hartke. In 1997, he was awarded a scholarship to attend the Schola Cantorum Summer Composition Program in Paris, where he received further training in analysis, composition, counterpoint, and harmony, supervised by David Diamond and Philip Lasser from the Juilliard School of Music and Narcis Bonet from the Paris Conservatoire. When Colin asked me to write a new work for his upcoming CD, I was thrilled at the opportunity. I’ve known Colin since our college days and have wanted to work with him for a long time. So when it came to composing a new piece, I thought “how can I create something that would fit his personality”? In addition to being a terrific oboist, he’s also a trained dancer. So with that in mind, I decided to create a work that had a dance-able quality tempered with rich lyricism, and and improvisatory character so it could be in contrast to everything around it (he is the star of the show after all). One of the ways I usually try to kickstart my creative process is to improvise or brainstorm with the person I am writing for. So that was exactly what we decided to do via Skype. Our first session was terrific! He gave up all the energy I needed to be inspired – carefree, rhapsodic and spirited. The first thing that came to my mind from that session was a simple chord progression (played by the accordion) with an oboe Melody dancing over top of it. A jaunty, spirited theme that fluctuates between triple and duple time, cast in an optimistic pentatonic harmony played out in counterpoint to the somber minor harmonies moving below it. This theme would continually evolve as more instruments joined in with each repeat. Once I had the opening worked out, the rest of the music floated with the greatest of ease. Mark’s theatre credits include Music Directing and performing in “Cats” (NuMu Productions), “The Toxic Avenger” (Dancap Productions), “Mamma Mia”, “Dirty Dancing” (Mirvish Productions) “Cinderella” (Ross Petty Productions), “To Life” (HGJTC) “High School Musical” (Drayton Entertainment) and the World Premiere of “Queen for a Day” (April 30th Productions). Mark has Music Directed many concerts including the “Canadian Songwriters Hall of Fame Galas”, the “Canadian Screen Actors Awards”, “The Canadian Tenors PBS Special”, “Canada Eh” with Steve Patterson (CBC) and has shared the stage with Il Divo, Celine Dion, Sting, Eric Clapton, Seth MacFarland Andrea Bocelli, Paul Anka, Sheryl Crow, Sarah McLachlan, David Foster, Annie Lennox, Audra McDonald, The Canadian Tenors, Herbie Hancock and most of the major symphony orchestras across Canada. Mark was also a featured pianist at the Pan-Am Games cultural concert and has toured as a Concert Artist for Yamaha Canada. Mark owns and operates his own recording studio IMAGINE Sound Studios and his Recording/Producer credits include his own CD “Mark Camilleri and the CT Project” as well as working with Jeff Healey, Jason Priestly, Quartetto Gelatto, Marvin Hamlisch, Alan Thicke as well as various CDs for Somerset Entertainment. T.V. and Radio credits include composing and recording commercials and corporate videos for Cosmopolitan Magazine, Johnny Walker, General Mills, Microsoft, General Motors as well as scoring documentaries for the History Channel and TLC. Mark was also part of the creative team for both seasons of “Triple Sensation” (Produced by CBC/Garth Drabinsky). Aura Pon is a Calgary-based composer, oboist, music technology researcher, former naval officer, hiking and architecture enthusiast, eternal student and new mama who still trying to figure out what she wants to be when she grows up. Her compositions, which include instrumental chamber music, electroacoustic music, and intermedia, have been performed in Canada, United States, Belgium, Italy, Greece, Slovenia, and Russia, by artists such as Quartetto Gelato, Rubbing Stone Ensemble, Vox Tactum Ensemble, Colin Maier, Michael Hope, and Marco Fusi. Her latest composition, for violin, brainwave sensor and computer, premiered this summer at the Composit New Music Festival in Rieti, Italy. She is currently undergoing a PhD in Music with a specialization in Computational Media Design at the University of Calgary in which she likes to explore new and wacky ways of making and experiencing music. When not composing or undertaking her studies, she freelances as an oboist and digital instrumentalist with Symphony of the Kootenays, the Calgary Philharmonic Orchestra, and Aspect Ensemble. Her music and research seek to explore new means of expression and interactivity in art music. She takes herself way too seriously, most of the time. Songs of the North Woods is a growing collection of pieces based on rare Canadian folk songs archived in a book of the same name assembled by Edith Fowke. These soulful little tunes, many originating from the late 1800s (that’s old for Canada) in Northern Ontario or the Maritimes, or brought from motherland Europe by settlers, were sung while logging, mining, fishing, drinking, and other alimentational or recreational activities of the day. The first of the North Woods chamber music pieces, commissioned and recorded by Mr. Maier, was a fantasia based on two contrasting songs, “The Lass of Glenshee” and “Chapeau Boys.” This latest addition was seeded by an obnoxious drinking song called “Crúiscín lán,” (pronounced “Kroosh-keen lawn”), a Celtic word for full, small jug. The composer took liberty to elaborate on the original inebriated songster’s tale of delighted abandon with this temperamental, melodramatic soliloquy for – who else? – the  oboe,  to frame the original song and lyrics, revealed towards the end. Added piano, bass, and percussion try to keep things moving along, like slightly-more sober wingmen. Overall, No. 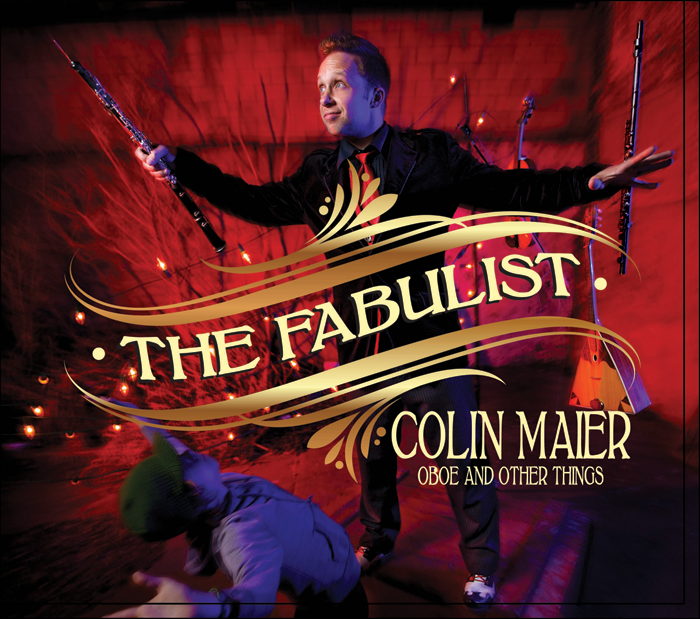 2 offers a varied melodic discourse that is part Celtic, part Classical, all oboe-emoting, and features Mr. Maier’s multi-talents for cross-genre oboe-playing, singing, and drinking songs. 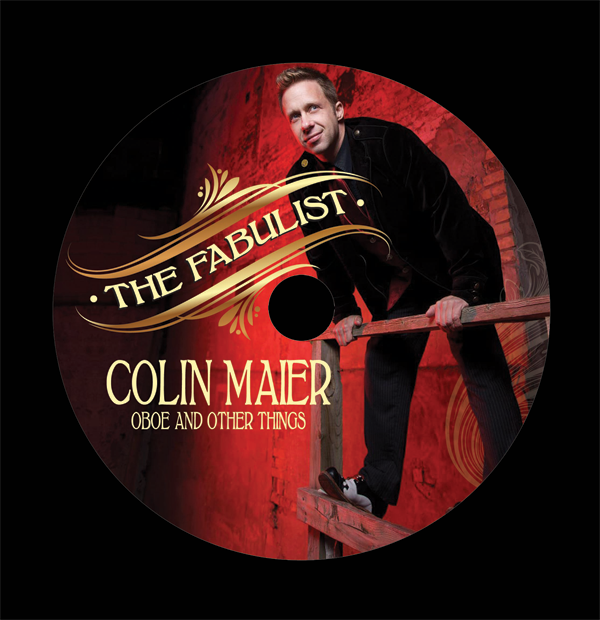 “The Fabulist” was produced by Colin Maier. Recorded, mixed and mastered at www.imaginesoundstudios.com by Mark Camilleri. With additional editing by Kenny Luong.